In a previous review, I covered the Blue Yeti USB Microphone - a product I consider to be the ultimate in professional quality USB microphones at the $90 - $150 price point. After buying the Yeti, I had the opportunity to try out the Blue Microphones Snowball USB Microphone (White) - a retro looking product that preceded the Yeti, and one of the first microphones offering a variety of recording patterns with modern day specs. Although I did not purchase it (given that I already had Yeti), I gave the Blue Microphones Snowball USB Microphone (White) a few tries to judge its quality and fidelity. The Snowball is designed to provide you with a great experience in extracting every bit of sound and reproduce it with the crispness and depth of a good quality microphone. From a qualitative standpoint, and in my test based experience, the Snowball's recording quality is comparable to the higher end Blue Yeti USB Microphone to a large extent. The exceptions are features like the number of capsule array of condensers - Yeti has a 3 capsule array of condensers, the convenience of a zero latency headset connection from the mic, a mute button, and mic gain control on the microphone besides being THX certified. The Snowball does not have the above features but carries with it the functionality of a good quality USB mic at an affordable price point. While the Yeti has a triple capsule array of condensers, allowing it to offer four polar patterns of recording, the Snowball has a dual capsule array of condensers. 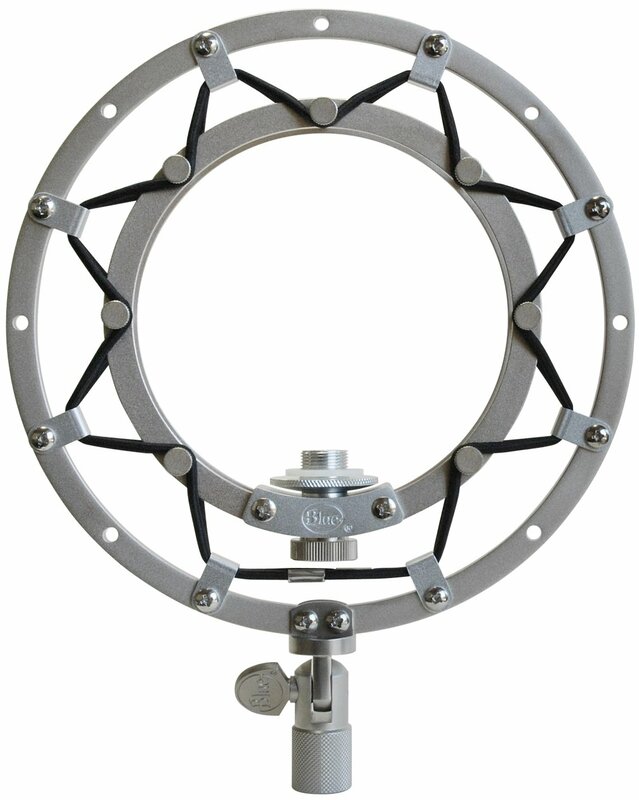 Thus, the Snowball provides two primary recording styles - Omni (360 degree sound capture), and Cardioid (unidirectional). There is an additional polar pattern called Cardioid with -10db pad, so that loud recordings can be captured without the blare effect and faithfully reproduced. With these 3 polar patterns, the Snowball provides great quality and results for the current price point at which it is selling. 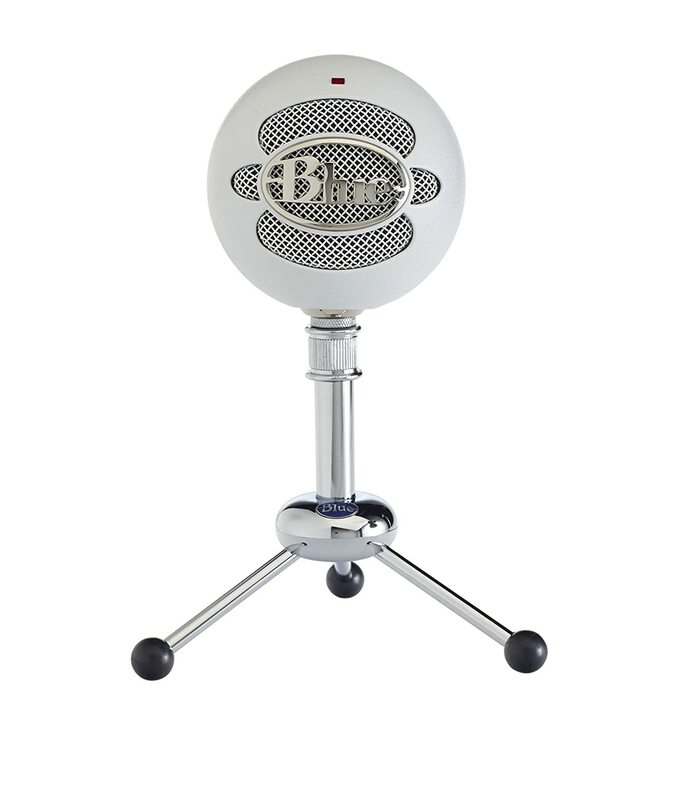 At the current price point of around $70 - $90 depending on where you get it, the Snowball makes for a high quality product that will give you more than your money's worth if your primary use of it is for podcasts, solo vocals, and instrumental recordings. The specs for the Snowball make the intended target consumer audience clear in that at 44.1 Khz sampling rate with a word rate of 16 bits, and a frequency capture range of 40 Hz to 18 Khz, this is an ideal microphone for the music enthusiast, avid podcaster, VOIP callers using internet telephony services such as Skype, and the home recording aficionado. The Snowball works with both Mac, and Windows through the USB port literally Plug'n Record and it is powered by the USB connection! It does not need Phantom power to power the mic. And its available in White, Brushed Aluminum, and Gloss Black finishes! All the vocals, guitars, and bass on my six-song pop/rock album (entitled "The Garage Band Files") were recorded with a Blue Snowball USB microphone. Contrary to what the user manual says, I found setting 3 (the omni-directional setting) to be best for vocals and most guitars -- setting 1 (the cardioid setting) came across as too flat and distant, while setting 3 seems to provide more presence and richness. For this reason, I am a little skeptical about comparisons between the Snowball and Yeti, because they usually compare the cardioid settings, which doesn't seem to be the Snowball's strong suit. I highly recommend using the mic in conjunction with a pop filter for vocals. Also, don't hold the mic while recording, because doing so produces audible sounds. Click my link to hear my Snowball-recorded songs. I do think you should check out Blue Yeti - most of my recordings are solos with pre-recorded tracks so it is possible there is a difference when you have a microphone in cardioid mode that needs to capture both Guitar and Vocals - unless the guitar and mic are connected separately to an audio interface that is then connected to the Mac. Do checkout my recordings linked to my name on this comment - all of them are recorded on Blue Yeti Cardioid mode. The only issue I see with the omni mode is that any and all surrounding sounds are captured and in a home recording setup with kids et al at home, one has to look for late night silence to really use that mode or find a separate location. Thanks to you, Redshifter! I bought a Blue Yeti and find it to be much better than the Snowball, especially for vocals. So glad to know your Yeti experience is better than with Snowball. Good luck.